“We ACT” is Chiesi’s Manifesto of Sustainability, a declaration of our intention to care for society and the environment, as well as how to do it successfully for both the stakeholders and the Company. Chiesi’s mission to combine integrity and commitment to results, operating in a socially and environmentally responsible manner, has been pursued constantly throughout our Company’s history. 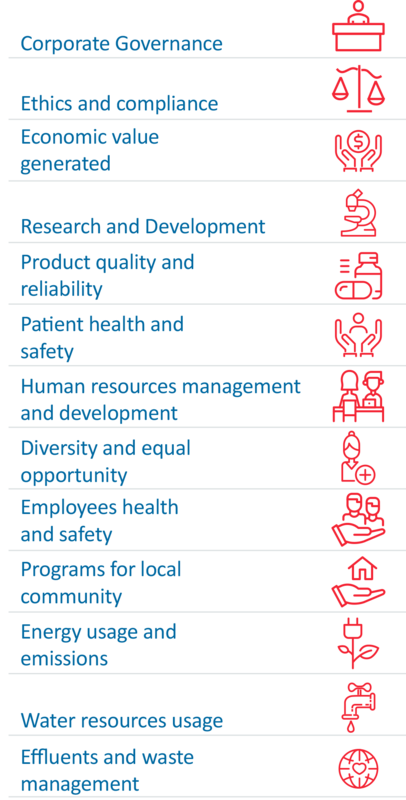 Since our first laboratory was founded, key sustainability values were already intrinsic to the Company's DNA. Chiesi’s laboratory resumed its activities after World War II; we opened up new markets and frontiers. Chiesi’s new products for respiratory, neonatal and rare diseases were launched. In 1992, Curosurf was launched by Chiesi for the prevention and treatment of neonatal respiratory distress syndrome in premature infants. Creation of a non-profit organization to promote health in some of the poorest areas of the world, where the Company does not have any production facilities or commercial activities. Our Corporate Social Responsibility activities were given a precise structure and governance and we published the Group’s first CSR Report. A new journey has started to fully integrate the sustainability principles in our way of doing business. Later in 2017, we renewed our engagement to social and environmental sustainability by launching a company-wide Sustainability Strategic Plan. This plan led us to define 17 new sustainability goals for which we are identifying the priority actions that will help us deliver value to society while achieving business success. We declare our intention to become a certified B Corporation (also known as B Corp), joining a movement of certified for-profit companies. 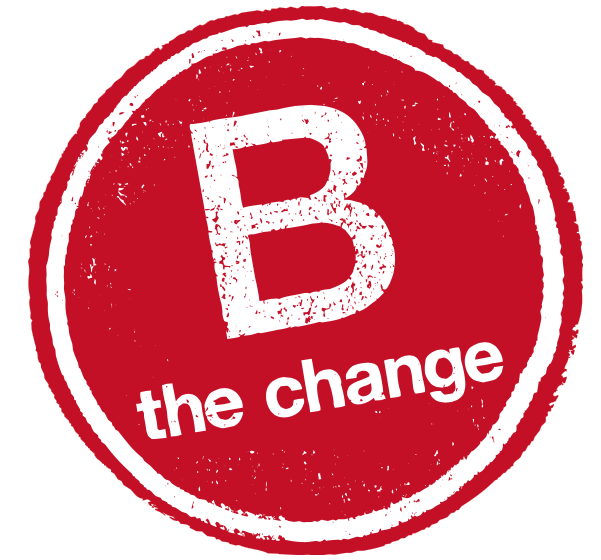 A B Corp aims to contribute and give value back to society by creating a positive impact on the lives of workers and consumers, as well as on the community and the broader environment, while simultaneously meeting rigorous social and environmental performance standards, together with accountability and transparency. Integrating sustainability within our business approach means taking a commitment to create value for all our stakeholders, taking all economic, social and environmental matters into account. 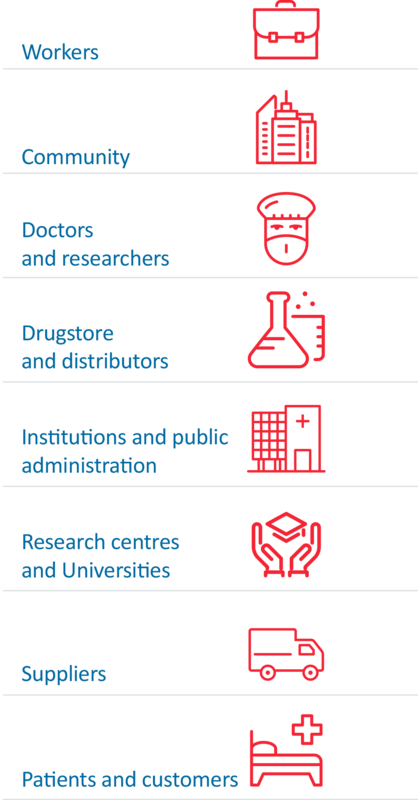 We have therefore identified our main stakeholders, with the aim of measuring and managing the possible impact that our business could have on each of them. In addition, to engage in a structured reporting process on sustainability issues, we have chosen the main material aspects, i.e. the ones that are most significant for our business and our stakeholders. Chiesi supports the Sustainable Development Goals (SDGs) developed by the United Nations. Based on an analysis of stakeholders’ needs, we have identified 17 Chiesi Sustainability Goals with a view to contributing tangibly to the achievement of 8 SDGs in particular, the ones that we believe we have the capacity, skills and resources to make a significant contribution to.